This winter annual can be found all throughout the United States, and like its name implies, has a very upright "rocket-like" growth habit. It can achieve a height of three feet and can handle part sun to full shade conditions. 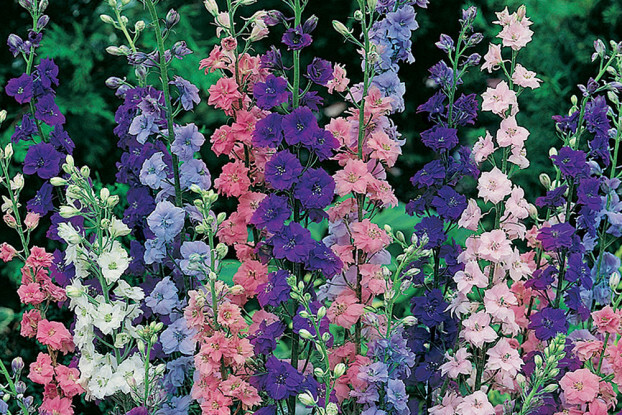 Rocket Larkspur displays very showy pink, white, and blue flowers that bloom from spring to summer. It is a great flower for adding height to your wildflower garden. Thrives in a wide range of soil conditions.